It is updating about the water pastry. 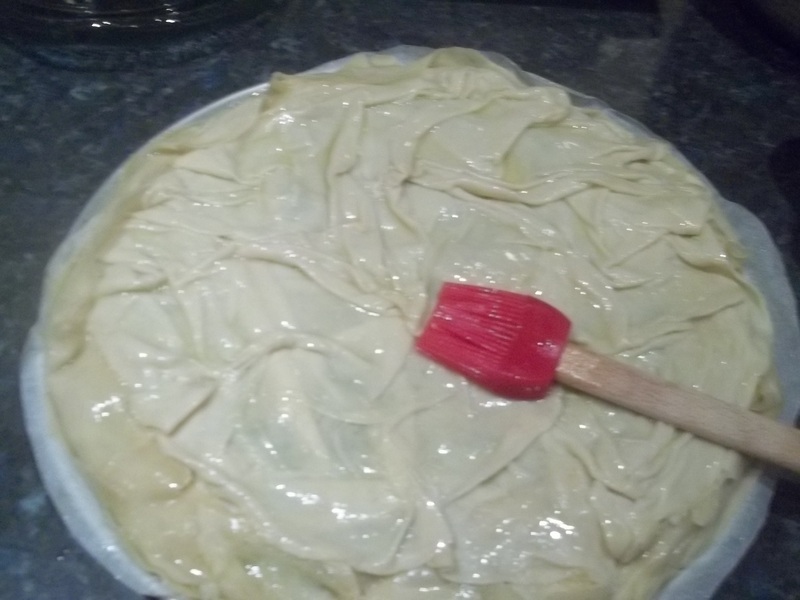 Last May I posted the making of water pastry from scratch , and how to keep it. 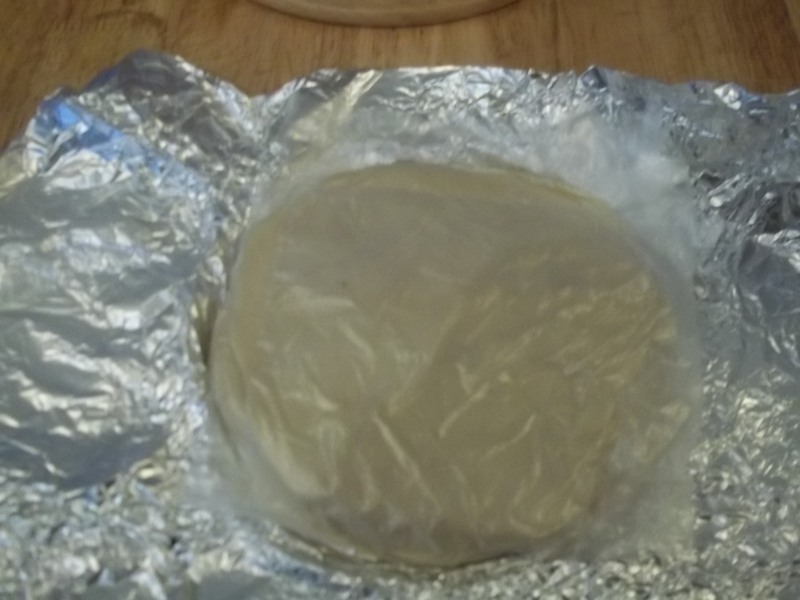 It did freeze very well, and I used it for cooking pie successfully. And these are the steps that I took. Take the frozen pastry out to thaw. 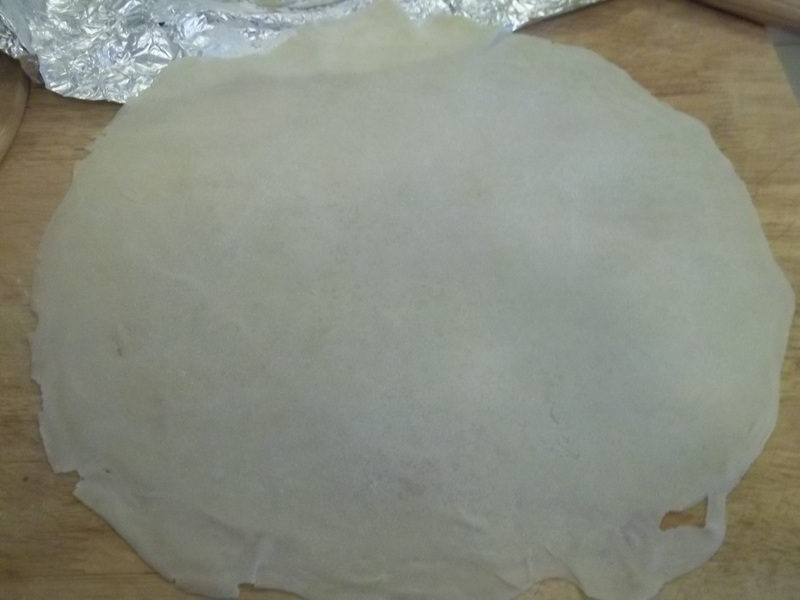 When it is thawed, place the pastry onto a floured board, roll it out to make a thinner pastry. Place on a greased baking tin, and brush with melted butter/oil in between. 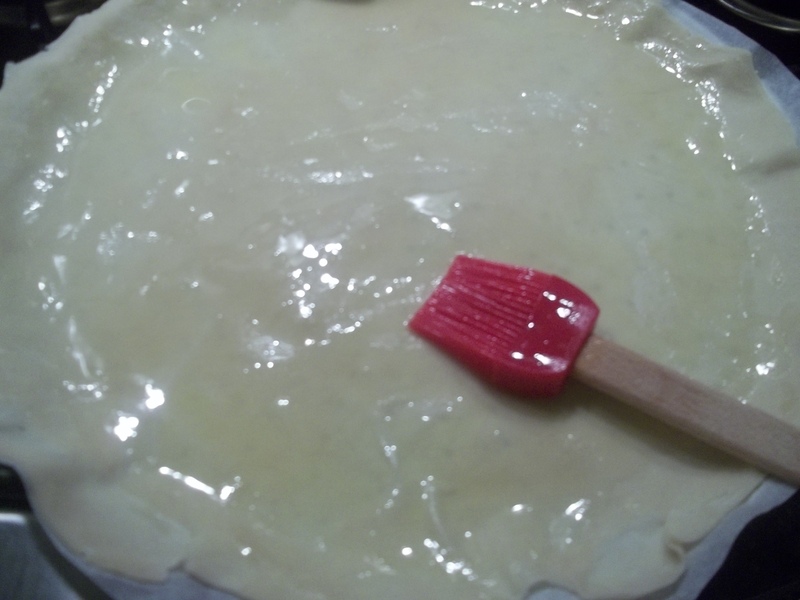 Place the filling and cover with the rest of the pastry sheets which is brushed with the melted butter/oil in between. Bake in the hot preheated oven until golden brown. Take the pastry out of the freezer to thaw. Roll the pastry to a thinner and as large as you need. By brushing the pastry with the melted butter mixture, you will get a beautiful and flaky golden pastry after it is baked. 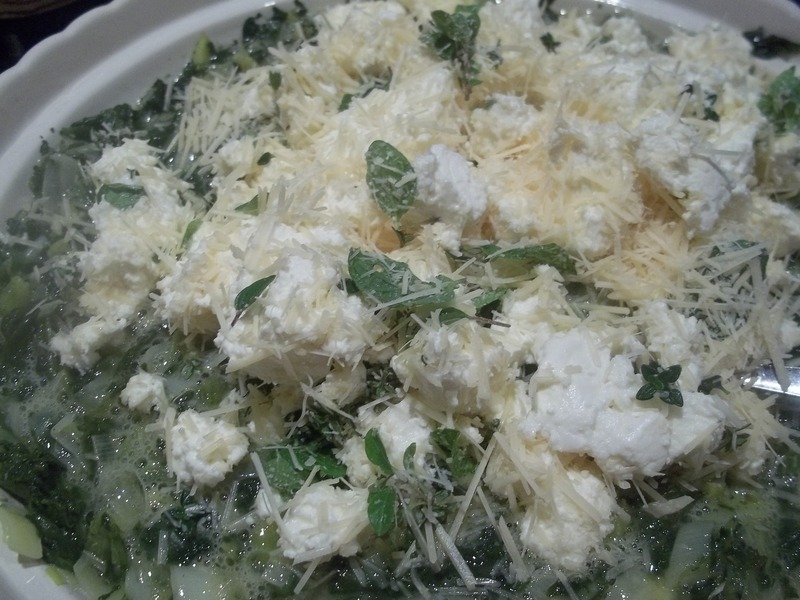 Filling of the pie: cooked spinach, fresh herbs-parsley and thyme, grated Parmesan cheese and Feta cheese, eggs and salt to taste. 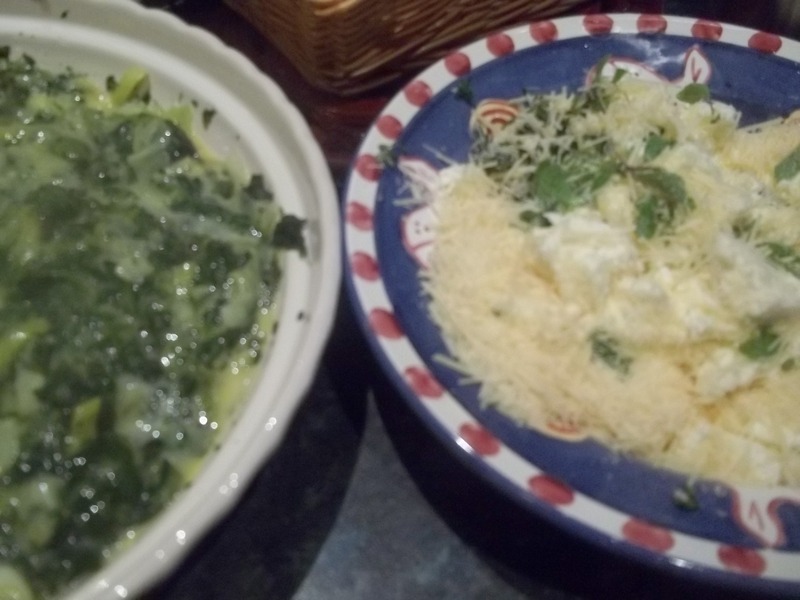 Also add a tablespoon of olive oil in the mixture. 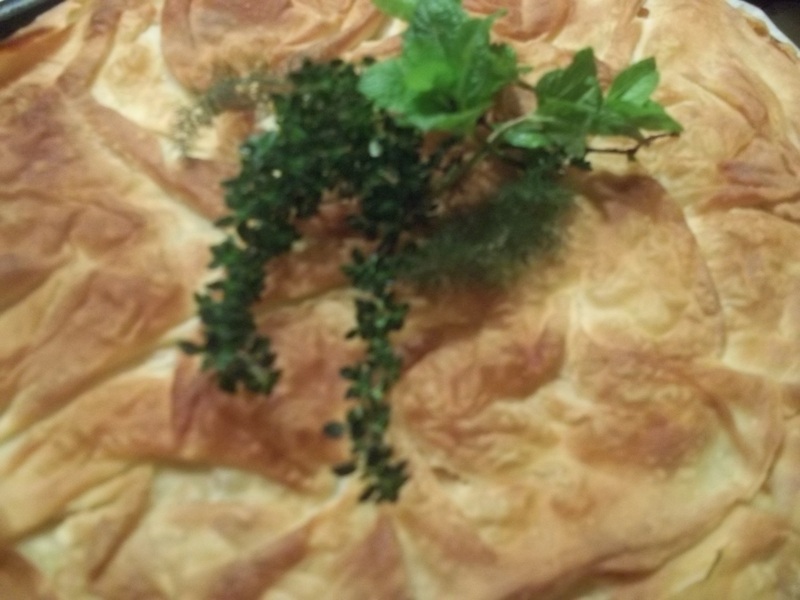 The pie is garnished with fresh herb to serve. Now, you have it. 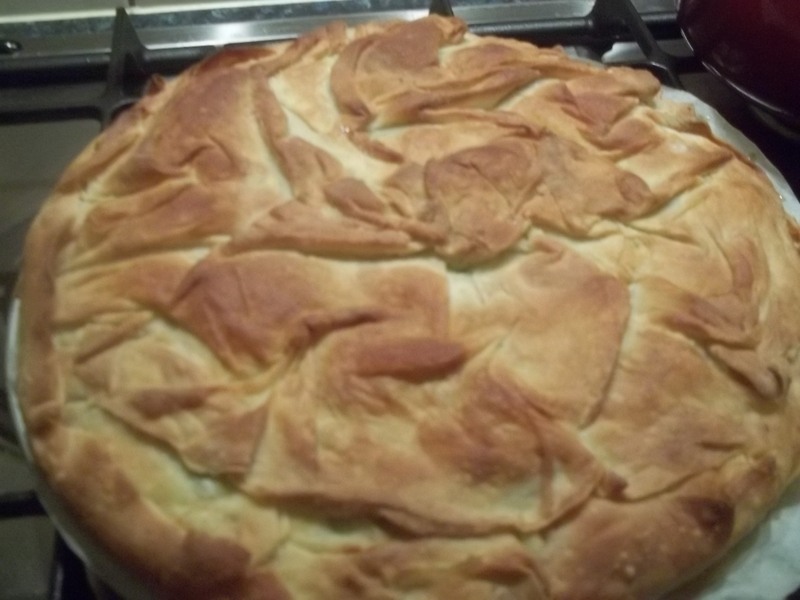 A home baked pie prepared from frozen home made pastry is delicious and inexpensive. It is so easy, I do it very often as a treat for the family. 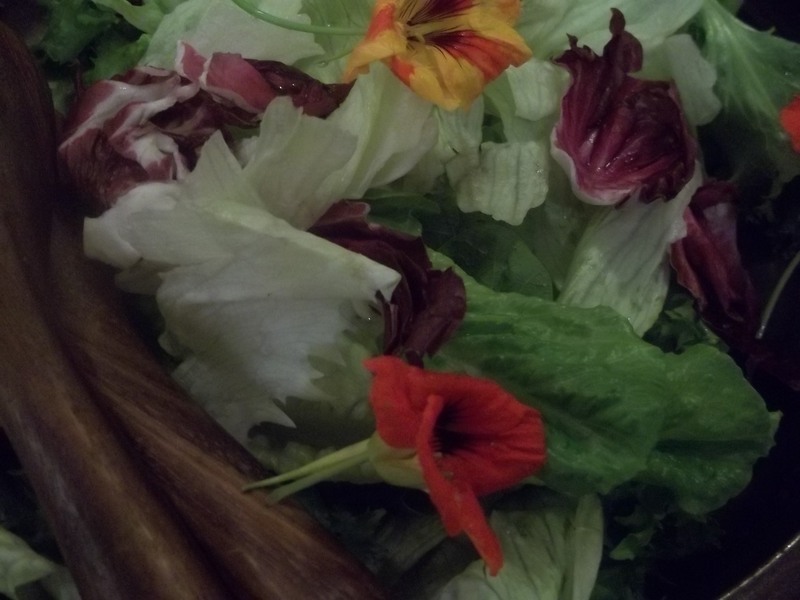 If you did make the water pastry and now still frozen, it is time to use it for the baking. You can bake a cheese and egg pie like what I did, or you could use it for apple/fruit strudels. Have fun and happy baking. Another batch of water pastry you can prepare for freezing again, to get ready for the next baking. I think it is a very good idea to have frozen water pastry ready on hand. As promised, I would do a pie from the frozen pastry by the end of the month (May 2014), but now is July already, however it is better than not at all.